SEO stands for Search Engine Optimization and covers a large number of tasks and techniques designed to help your website rank high on SERPs (Search Engine Results Pages). Everything about SEO is big. It’s a big industry. It’s a big expense. It takes a big effort to succeed. For a beginner, SEO can be very overwhelming. There is no shortage of people who promise page 1 rankings in exchange for your money. Some are legitimate SEO service providers and some are not. Black Hat SEO providers use techniques that may result in quick gains in the short terms but eventually get penalized by Google. There are plenty of technical details about how search engines operate, but for now, I want to focus on why they operate. Google is the most used search engine because it provides the best results in response to a search query. This is Google’s core mission. This is fundamental to understanding search engines and how you can maximize your ranking. Your content and web presence needs to help Google and the other search engines provide useful content to users. Having a page packed with keywords or poorly written content does not help Google provide the best results. And they are very good at distinguishing between content written for humans and content written for search engines. Google is in the business of providing the best search results for their users. Good SEO helps them achieve that goal. Keywords are indicators of what your content is about and are fundamental to any SEO strategy. If you sell shoes. “running shoes” would likely be a keyword phrase you are interested in. Keywords can also be thought of as the question search users are asking. It would not be unusual for a search user to type “Where can I find a shoe store that sells running shoes near me?” Google and the other search engines will parse this search query and match it to what they think are the best results. The secret sauce for Google is how they interpret links, in particular, inbound links to your site. Google views inbound links like a popularity contest. A site with many inbound links must be important. Back in the day, SEO providers would take advantage of “link farms” which were a number of websites and online directories specifically set up to provide inbound links. These were often paid directories and websites. Buy enough inbound links and your rank would go up. This was an example of “gaming” the system. Google eventually modified their search algorithm to detect link farms and those whose sites were ranking well because of them saw their rankings plummet literally overnight. 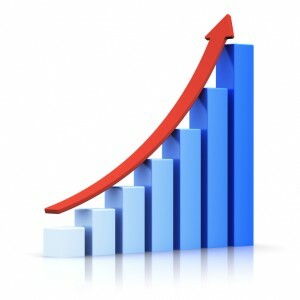 Many site saw traffic drop by 50-60% or more. Google now qualifies inbound links. Too many spammy links will do more harm than good. One of the greatest challenges for SEO is how too build high quality inbound links. Once again, it comes back to understanding what Google wants. Google is looking for authority on subject matter that relates to what the search user is looking for. So your site needs to be the source of quality content that people will want to link to, be it from social media or blog posts or other articles. An inbound link from a single high ranking website that is relevant to business is far more valuable than a bunch of links from random directories or unrelated websites. Link building takes a lot of time and effort and does not happen overnight. It is VERY hard work, but the results are worth it when done right. One of the easier ways to optimize SEO is by structuring your website in a search friendly way. This includes using all the HTML tags available to support your keywords. But it goes a little deeper than that too. It turns out that Google is a big fan of information hierarchy. Information on your site should be grouped into pages that form a logical structure. Be sure to consider website information structure with any new website design. If you already have a website, take a look at the organization of the content. Is it well organized or is the content scattered? Ask your web designer for help if you’re not sure. Good website information organization has significant impact on SEO. Good SEO services should be viewed more as a marathon rather than a sprint. With the right approach and some patience, you can achieve excellent long lasting results.